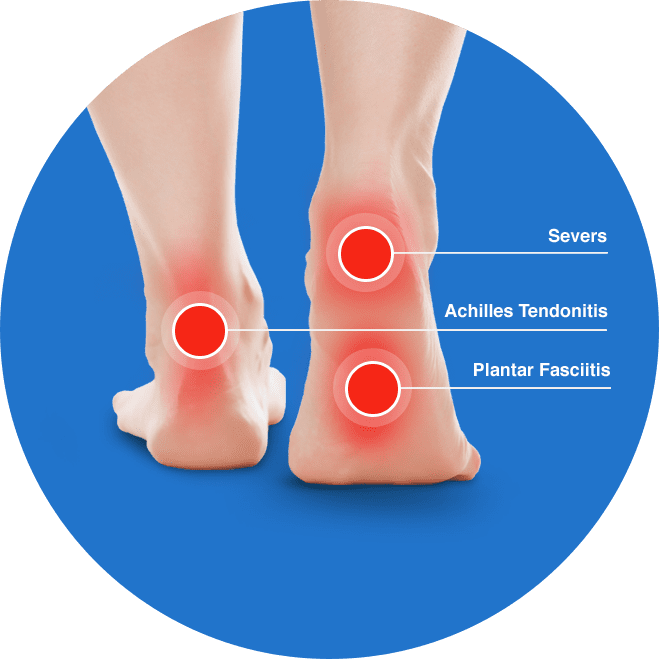 Achilles Tendonitis (tendinopathy) is a very common ailment predominantly caused by overuse. The Achilles tendon attaches the calf muscle complex (gastrocnemius and soleus) to the heel bone (calcaneus). They both create a force that allows the heel to lift off the ground. The calf muscles are very important for movement as they need enough strength to help forward propulsion and enough flexibility to allow for a correct amount of ankle flexion. The Achilles tendon transfers this force and flexibility from and to the muscles. 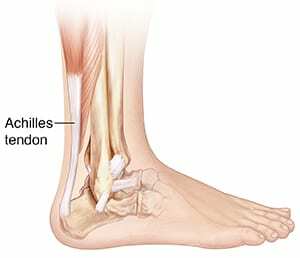 Achilles injuries occur one of two ways. Through a response that creates inflammation usually due to movement injuries or micro tears that occur without inflammation (tendonitis) usually due to degeneration of the tendon. The Heel Clinic treatment is to assess the functional movement (biomechanics) of the feet in the transition from heel strike to propulsion. If the base cause appears on assessment to be functional, then the Clinic uses an insert to support and stabilise the heel. The Clinic has found that a heel base support instead of arch base control has more control and therefore success in treating the ailment.